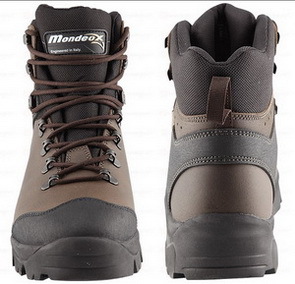 Designed and manufactured in Europe, the Mondeox Ortler 3 hiking boots deliver unbeatable quality and value for the avid trekker. Its robust construction will handle most rough terrain and features a premium, high grade leather upper for great support and protection from the elements. For superior comfort out on the tracks the Ortler sports a double density rubber shock absorbing midsole to reduce stress on your joints. Well-spaced lugs also help with braking on slippery surfaces and remain responsive in bogged down trails. 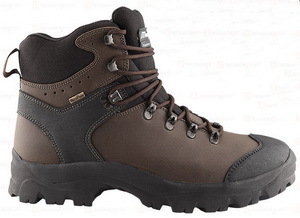 The Ortler 3 is an affordable hiker which will not burn a hole in your pocket.